I played Ultimate Marvel vs Capcom on the PlayStation Vita this morning. The thing is, we were only allowed eight minutes at a time on the thing, which isn't exactly enough to tell you the ins and outs of the game (though I did film the game, the footage from which I'll throw up a little later). It was more than enough time, though, to tell you the PlayStation Vita will have no problem with fighting games. One of the things I like about the new handheld is the "click" of its buttons. They're not soft or squishy; you get a definitive click when you've depressed them, really letting you know you've hit the button. The Vita's d-pad has the same feel to it, and for a fighting game this felt great. Unlike the d-pad on the DualShock 3 (or the PSP, for that matter), which is broken up into four individual sections, the surface of the Vita's d-pad is (as you can see in the pic above) actually joined in the middle, raised from the surface of the handheld and with sharp (well, not sharp) edges. This meant that whipping my thumb around the pad to move my characters and pull off special moves was both fast and, more importantly, precise, the raised sections and "click" letting me know that, yes, I'd definitely just pushed down. 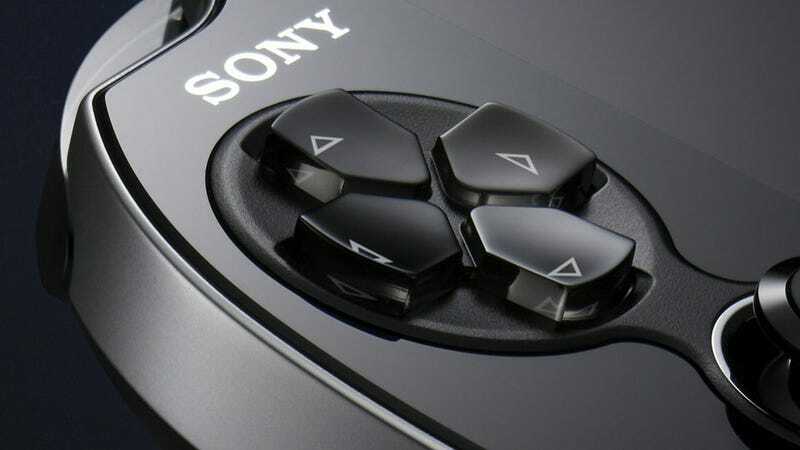 It also meant that no longer was I pushing down one or two of four individual "buttons" to interact with the d-pad. Because they're joined in the middle I could "roll", closer to what you'd do with a stick or fancy control pad. It doesn't match the feeling of using an actual arcade stick, but for a handheld, it feels pretty damn great. But what of Marvel vs Capcom? Like I said, I didn't get to play it for long, nor am I an expert on the genre, but what I can tell you is it did look gorgeous, making the same decision I've seen a few other Vita games make at the show: let the characters look a little jaggy, a little rough compared to the console version of a game, but then cram all the animation and effects you'd expect from a PS3 game in around them so after a while you don't really notice. I'll be posting video footage of the game in action later tonight, you can check out some finer details then!